“Thank you Alice, I needed new golf balls,” quipped Guy after prying open the metal lunch box and unwrapping the wax paper encasing my mother’s Christmas present – three kuftahs – Armenian stuffed meatballs. The year was 1948. My mother was in her early twenties and single. “Alice, did you make them?” queried Guy’s father, Uncle Sahag. “Don’t be silly,” said Sarah, my mother’s mother. “But you can’t keep the lunch box,” announced my mother as she extended her arm across the dark wood dining room table toward her cousin. Alice did have a better idea. She and Guy, also single and in his twenties, exchanged gifts every year. But the gift giving became less in the Christmas spirit and more like April Fool’s Day. My mother nibbled at her plate of cheese, fruit, coffee and homemade Armenian pastries as she anxiously waited Guy’s gift. All eyes focused on my mother as she feverishly unwrapped the package and burst into laughter. Suddenly breaking into Armenian, her only language, Badaskan, my mother’s grandmother, proudly observed, “Guy makes everybody laugh.” Her statement shifted the whole conversation away from English. 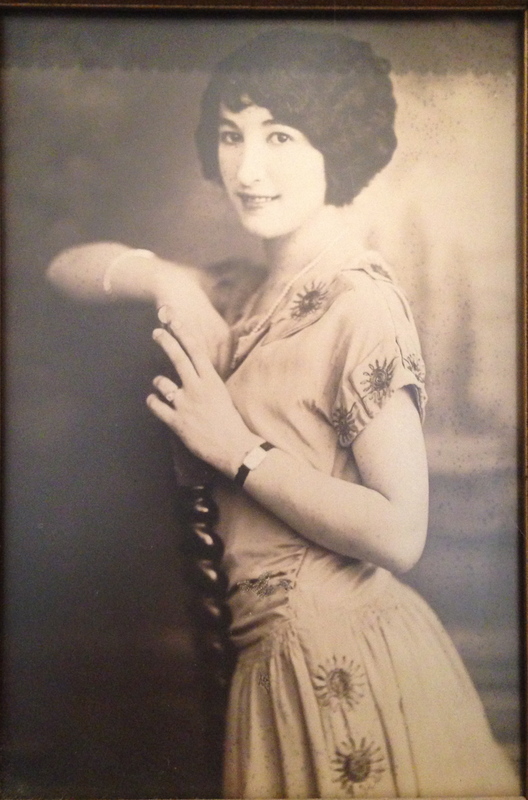 My mother stretched her arms out wide as she held up a piece of loose flowing pink silky fabric by its elasticized waist, a pair of her grandmother’s bloomers. “Why are you giving her that?” continued Badaskan sternly. “I thought you had some extra ones, Grandma,” responded Guy. “I didn’t think Alice had enough,” maintained Guy in his own defense. “I’m not taking them home with me,” declared my mother switching back to English while holding her stomach to stop the pain from laughing. She held them out the garment for either her Grandmother or Guy to take. Sahag, Guy’s father, just shook his head. Shortly after the laughter subsided, everyone moved to the living room for a little more conversation. An hour later, my mother and her parents stood up to leave and started to say their goodbyes. “Oh Alice, I have something else for you,” announced Guy after returning from another room. “Please not more underwear,” declared my mother raising her hands to dismiss him. He took that as an invitation to hand her his second gift. She unfolded it and again started laughing. “Very funny. You know I can’t read Armenian,” announced my mother as she held up The Baikar, an Armenian-language weekly newspaper. 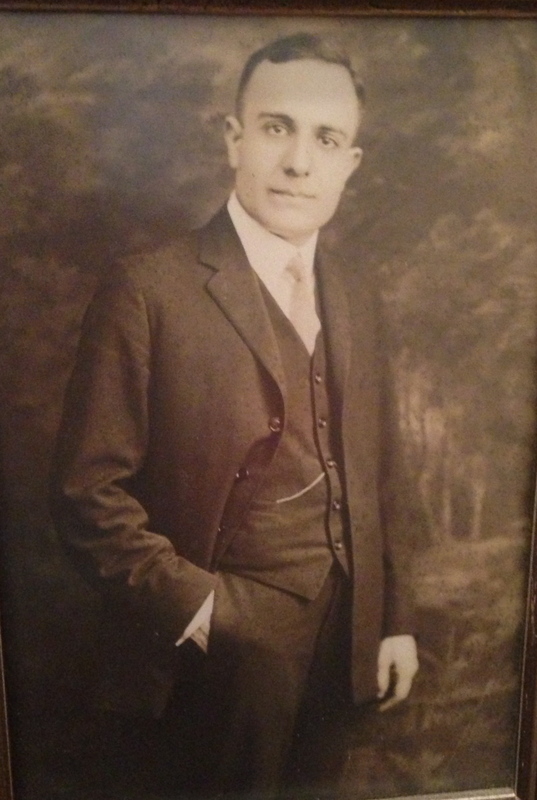 My paternal grandfather, Grandpa K, an Armenian emigree who arrived in the US at the age of 16 to escape conscription in the Turkish military, embodied the word inventive. A thin man with graying hair, a fair complexion and a soft sometimes high-pitched voice, he worked for his in-laws’ electro-plating business, General Plating, until 1949, when he suffered his first heart attack. And then he rarely worked again. Instead, he kept himself busy for the next 30 years growing vegetables in his backyard garden and flowering houseplants throughout his two-story, four-bedroom house in Cranston, RI. While his wife, my grandmother Liz went to work everyday at General Plating, Grandpa K read books, magazines and newspapers in English and Armenian, taught himself French from a daily public television show and volunteered for Armenian organizations. The thing that set him apart – he invented a few things. Things already invented by others. These included items like placemats, scrapbooks and flowerpots. “Dad, where’s your trash? I’ll empty it for you while I’m here,” offered my father on a typical Saturday afternoon visit. “Look in that waste basket,” answered my grandfather as he pointed to the slightly dented round red metal can in the corner of their smallish kitchen. My father peered inside. “There’s only an empty plastic bag that held oranges. And a wax paper wrapping from a butter stick,” exclaimed my father. “That’s our trash,” claimed my grandfather. “You know what I’ve said to you boys, America is drowning in trash. My father shook his head, picked up the can, walked down the back stairs to the backyard, unlocked the black wooden garage door and emptied the two items into a 10 gallon steel drum with the words “potassium cyanide” in big red letters emblazoned on the side of his parents’ trash can, one that had previously stored chemicals at General Plating. When my sister and I slept overnight at my grandparents, we ate breakfast in their kitchen seated at the wooden table overlooking my grandfather’s garden. My grandmother set our plates and glasses atop a flattened white paper towel encased inside a clear plastic bag, the open end sewn up with white string. My grandfather answered in the affirmative. “Did you know you could buy them in the store?” I responded. An avid newspaper reader, my grandfather made it a point to save and preserve his favorite items: a syndicated advice column called, “Ask Uncle Ray,” a mash-up of Dear Abby and Hints from Heloise or any articles about Armenia. He needed a scrapbook. So he fashioned one by flattening an empty Ritz cracker box and slicing it in half. Each half formed the scrapbook’s front and back. He saved church flyers or other odd pieces of mail and laid those 8 ½ x 11 sheets of paper in between the covers. Then glued his articles onto the pages. Punched two holes on the book’s left hand side, threaded a spare shoelace through the holes and tied the ends in a bow. We didn’t realize the extent to his archiving until we cleaned out the basement after my grandparents passed away. These “books” filled a few shelves. When Grandpa K needed scores of flowerpots to plant his menagerie of African Violets, gloxinias and gardenias, he cut off the top half of a cardboard Hood’s milk carton and planted a seedling in the squared off bottom. Every available windowsill and flat surface displayed his flourishing green thumb. These flowerpots didn’t detract from the splendor of his plants. His inventiveness also extended to customizing things to his personal specifications. Almost every August 15th, my family celebrated my grandmother Liz’s birthday by eating cake, ice cream and watermelon in their screened-in front porch. My father and his brother, my Uncle Ted, corralled a few webbed lawn chairs from the backyard onto the front porch to accommodate the 11-member family. One chair stood out. The one my grandfather sat in. “Dad, what’s that wrapped around your chair?” asked my uncle pointing to the loose graying strands of torn fabric tied around the chair arms.